Power reserve Totally wound watches run not less than 36 hrs. Average daily rate: -20 ... + 60 sec. Your order may be subject to customs and import duties. Meranom has no control over these charges and we can’t tell you what the cost would be, as customs policies and import duties vary widely from country to country. It might be a good idea to contact your local customs office for more information on the current charges. When your online purchase is complete you will receive an email containing your order confirmation and delivery details. We will also provide you with a link that will allow you to track and trace the status of your delivery at any time. Once your order details are confirmed, your item will be carefully prepared and sent on its way within 2-7 business days. Delivery will normally take 3-4 weeks after dispatch, depending on your location and chosen shipping method. We will keep you updated with tracking information and an estimated delivery date. You can also follow the progress in your Meranom account under ‘View your order history. If you have any questions about shipping contact us. We will declare a package as the 'Watch parts' or 'Broken watch/warranty return' with cost of 10-20 US dollars to avoid customs taxes. 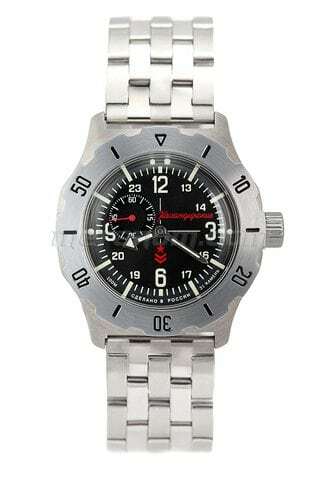 We do double check and adjustment of watches (in case of need) before sending to the buyer. Delivery by Russian post Registred Air mail. All orders are processed and shipped within 2-7 business days after acceptance of payment, if goods in stock. This time is necessary to pack the goods and to prepare documents for custom as all goods are sent from Chistopol, Russia. Usually delivery time 20-30 days. Sometimes delay shipments from the postal operators - an independent circumstances, most flight cancellations or cargo carrier's fault. безель и закручивающаяся заводная головка стальные? Solidly built watch! It's built to survive a nuke and has a legacy attached to it. The metal strap is not that great. But this was known to me when buying and a replacement of the strap was always planned. So not deducting any points for that. Great watch at a great price. Dmitry is very helpful and addresses all queries. Shipping was fast and secure. There was no issue with customs either. Great shopping experience. Здравствуйте. У разных моделей 35-й серии разный рисунок базеля. А в разных партиях одной модели рисунок стабильный? Спасибо. Привет. Я заказал свой Командиски на 23.12.17 год. но не получил номер трекера и незнаю що будет с моим часами. Скажите меня пожалуста. Проверьте, может быть письмо с трек-номером попало в Спам. Можно приобрести вместе с часами два-три дополнительных цифера? Администратор: Особенность подобного пластмассового стекла в особой форме, которая при погружение часов в воду, выгибается ещё больше герметизируя часы. Это является одной из уникальных особенностей часов "Восток". А можно и есть смысл как-то полировать такой безель если на нем появляются царапины?и если невозможно буду ли запчасти к этим часам в продаже? Администратор: Безель на этих часах изготовлен из хромированной латуни. Твой безель можно будет заказать у нас. с натовским ремешком возможна покупка? Администратор: Только как дополнительный товар. 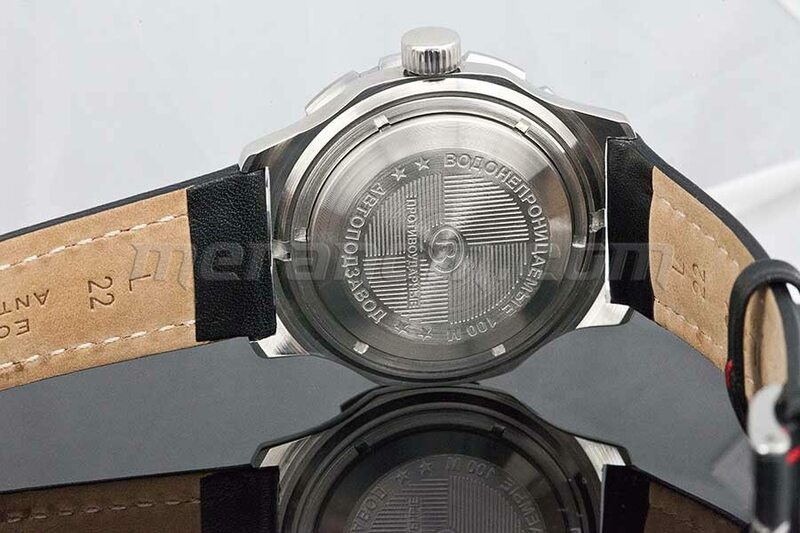 is it with the new one piece stainless steel winding crown ? Какой размер ремешка у этих часов? Из какого материала сделан безель?